Waterford manager Paraic Fanning and captain Noel Connors during the presentation of the cup to Limerick after Sunday’s NHL Final. Photo: Inpho. 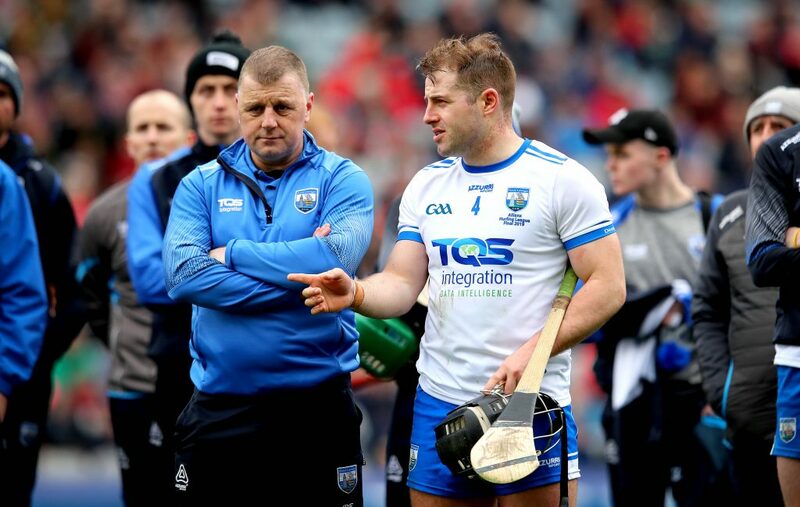 Despite Sunday’s league final setback, there was fighting talk from Paraic Fanning outside the Waterford dressing room. He insisted that his team can recover for the Munster championship and clearly felt that they didn’t receive enough credit for taking out Galway a week earlier.